This summer, God called my wife Emily and I to bring the Joy of Christ to a few hundred day campers. I think we did a solid job of doing that! Our theme for the summer was “Next Steps” and our lessons each day revolved around John 4 and the story of the Samaritan woman at the well. 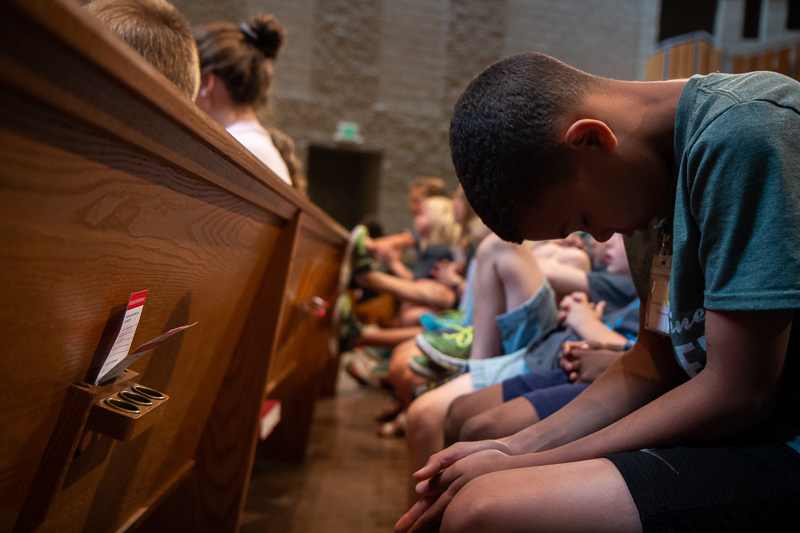 We helped the campers learn that asking questions of Jesus is instrumental to spiritual growth and understanding our own faith and walk with Christ. 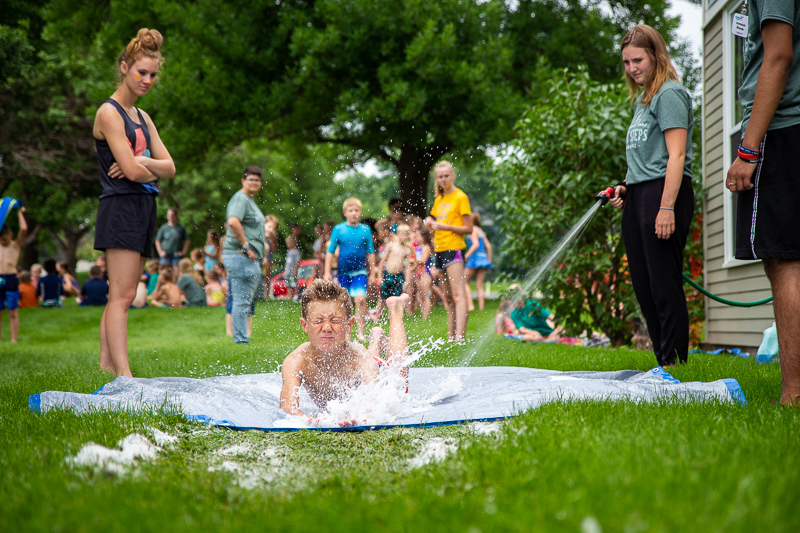 Versions of this phrase were articulated by campers at every day camp: McGregor, Bethlehem Lutheran in Grand Marais, Maple Grove Covenant Church, Plymouth Covenant, Crossroads Church in Cottage Grove, and Bethlehem Covenant. Not just that Jesus loved them, but like the Samaritan woman, Jesus loved them regardless of any messiness outside of church and youth group. For such a profound concept to be articulated with the clarity we witnessed in their cabin devotional time, was incredibly affirming. Additionally, each church took great pride in their volunteers. Which they should have! For Christ’s love to be discussed well in elementary age groups, it requires skilled facilitators, which our churches undoubtedly had. At the end of each day the Covenant Pines Day Camp staff would recap with our host church staff & volunteers and hear stories from the day. Jesus showed up all over the place! Funny stories and camper quotes, challenging moments as leaders, and most importantly: campers taking next steps in their journeys with Christ, some even saying “yes” to Him for the very first time. Camp ministry is unique in that you’re never sure of the spiritual lives your campers lead as the week starts. 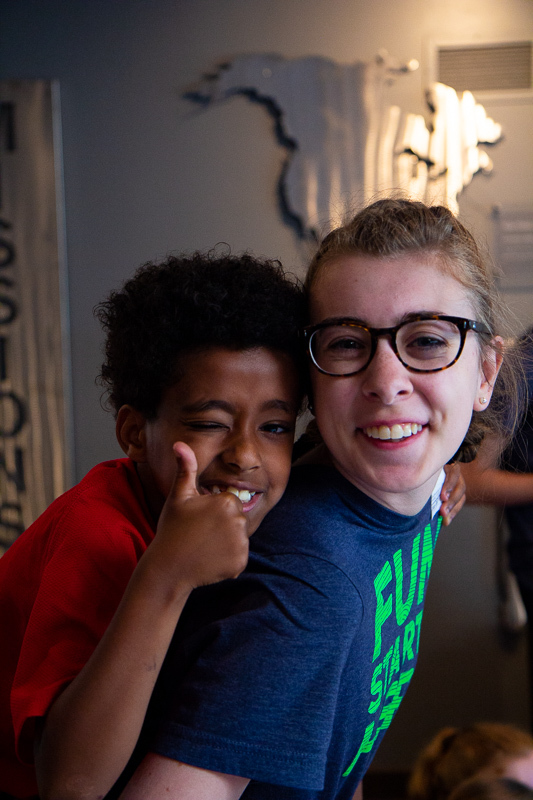 But what is especially cool about day camp ministry, is that the volunteers for the week are attending the same church as the campers in most cases. 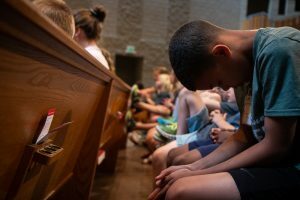 Whenever a camper prayed that prayer or wanted to take a next step with Jesus, the Children’s Ministry Pastor would always jump in with follow-up details. That follow-up can be so important. This church partnership allows for adult church members to engage with that camper as the school year progresses. We learned about the love of Christ and we Experienced the Joy of Christ at Day Camp. I have full confidence in each and every host church, volunteer, and Children’s Pastor that participated with us. Emily and I have been praying for all of our campers and staff now that Day Camp has ended, and we want to thank all the host churches for partnering with us this past summer!